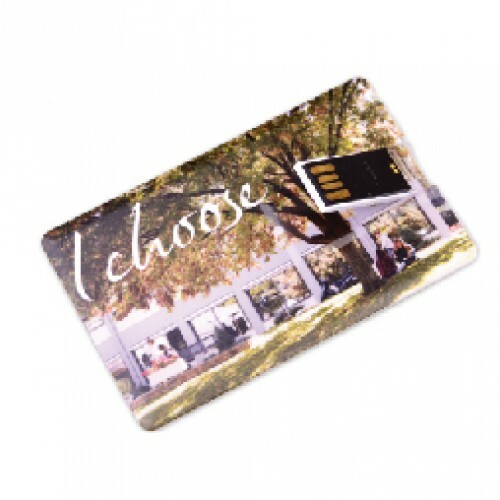 When you require a promotional USB that is both portable and eye-catching, you can't go past our Full Colour Credit Card Flash Drives. Reaching out to your market with flash drives will only be successful if your item clicks with your market. 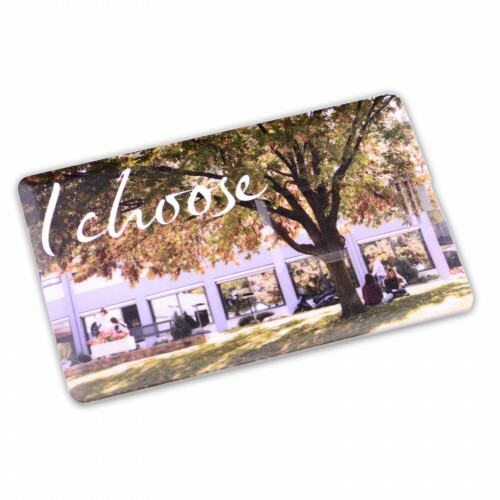 The Full colour Credit Card Flash Drive is a great idea for a corporate giveaway or promo item. 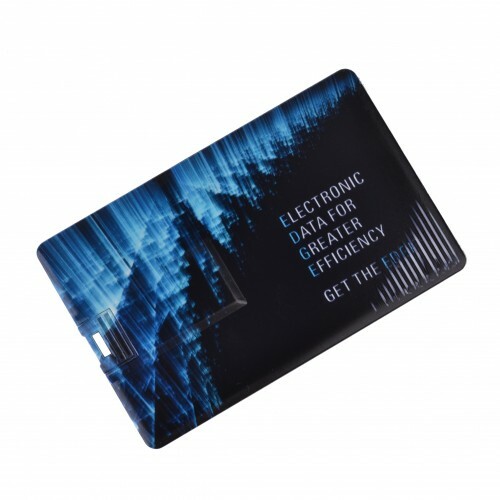 It is so slim it slips easily into the pockets or the wallet and it can hold huge amounts of electronic data that they can take anywhere with them. This custom made flash drive measures 86*55*2mm. 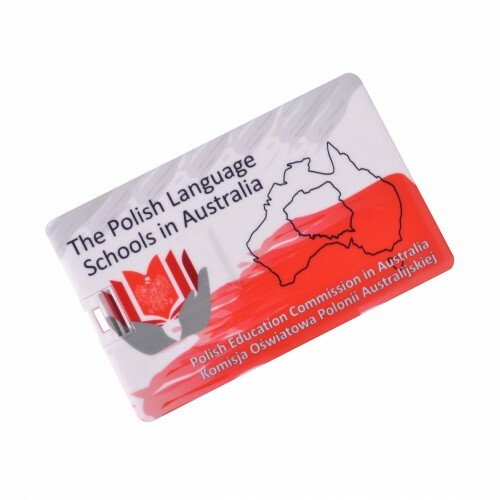 It is made of hard plastic and you can have it in customised by printing in full colours. There are different storage capacities to choose from including 1GB/2GB/4GB and 16GB. 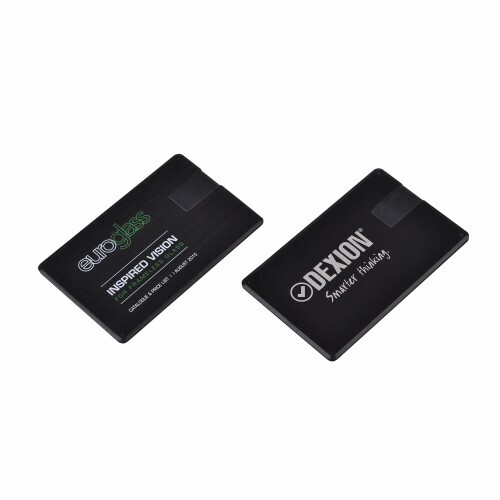 Only quality grade A memory is used on all our promotional flash memory. 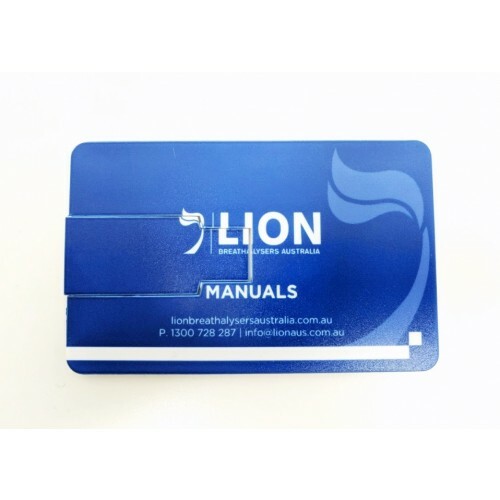 The pricing includes a one colour one side logo print as well as the print set up cost. Should you have data to be preloaded to the flashdrive, we are able to do so for free for up to 150MB. These printed flash drives are packed in individual polybags and you can request for optional accessories such as a magnetic gift box/ tin case/ PVC clear case/ mini lanyard/ long lanyard/ key ring and velvet pouch. Corporate flash drives turnaround is 2 working weeks from receiving art proof sign off. Urgent turnaround may be possible, please enquire further. Quoted prices are GST exclusive. 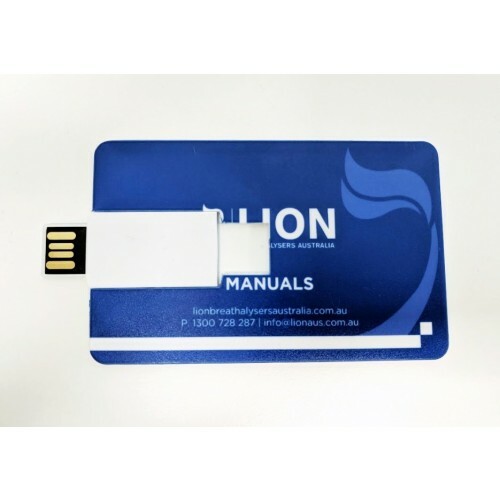 To buy this flash drive branded with your logo why dont you ask us by picking up the phone to call us or simply hit the enquire button to get in touch with us for a free quote and a free mock up. Standard 2 week turnaround order receives free delivery. We deliver Australia wide. Includes all areas in Sydney Melbourne Brisbane Canberra Adelaide Perth and Hobart.